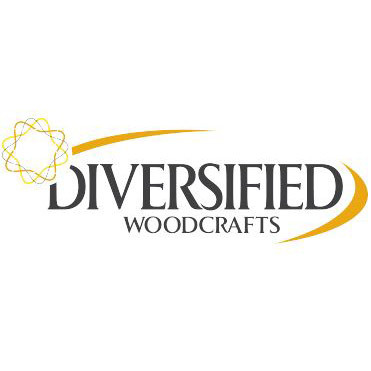 Diversified Woodcrafts is a name easily recognizable in the school furniture industry. Worthington Direct is proud to be an authorized dealer for Diversified Woodcrafts and formally separate brand, Shain Solutions. You can find their science, art studio and career preparation furniture products in just about every school in the country. Diversified is associated with industry names such as SEFA 8, ACTE and NSTA to manufacture quality and innovative scientific, art and other products for today’s students. All Diversified products come with a limited lifetime warranty. Known for their quality and craftsmanship in science laboratory and art room furniture, Diversified has everything you need to outfit your lab, studio or science classroom. Choose from a budget friendly laminate science lab table that are ideal for biology and physics classes that do not involve chemicals. More advanced lab table surfaces are available from Diversified Woodcrafts such as ChemGuard, Epoxy Resin and Phenolic Resin. These surfaces are found on many other Diversified casework and demo stations and can be used in upper level science and even professional labs. Read more about which science table is right for your laboratory or classroom on our Science Table Buyer's Guide . Gather your whole lab group around one of many mobile labs from Diversified. These portable demonstration stations often feature sinks, rods to hold observation mirrors and lower storage for all of your science gear and equipment. ADA complaint Diversified science labs are also available to make sure your laboratory is accessible by all. Create a permanent science lab layout with a Diversified science workstation that provide ample room for students and instructors to gather and learn. The popular Forward Vision Workstation with epoxy resin top is our top selling science workstation and is praised by science teachers across the U.S. You can also get all your classroom and studio storage needs at Worthington Direct with Diversified’s expansive options including the Split Level Storage Cabinet or the Mobile Balance Storage Cabinet for when being mobile is a necessity. Diversified Woodcrafts science lab safety stations such as the Mobile Fume Hood Station and Eye Wash Station keep your students safe and to meet safety requirements. Formally under the brand name Shain Solutions, Diversified Woodcrafts merged their manufacturing facilities and now produce everything you need to outfit an art classroom. Provide your art students with an array of creative support in the way of art tables, flat files, art supply storage, drafting tables and even culinary arts equipment. Diversified art tables range from simple arts and crafts planning tables to heavy-duty work benches outfitted with vises and specialized platforms for woodworking supplies and equipment. Diversified Woodcrafts is committed to providing educational furniture products for all career preparation classes and courses. Culinary arts, arts and design, robotics and agricultural programs all use Diversified Woodcraft furniture products to support the growth of these fields. Diversified Woodcrafts worked with VEX Robotics to help develop work benches and specialized robotics storage cabinets as STEM and robotics programs grow rapidly throughout the United States. Science classrooms, art studio rooms and laboratories are big investments and we at Worthington Direct have years of experience placing Diversified Woodcraft products in schools and labs, just like yours. Contact us today for volume quotes and advice on Diversified Woodcraft furniture products.